Discover magical Kauai. The best part is, you do it all on horseback! Hawaii’s most visceral sights are yours to discover on this three-hour adventure! Known as Hawaii’s “Garden Island,” Kauai is a lush paradise with out-of-this-world botanical gardens, stunning waterfalls, hidden trails and a glorious volcanic caldera visited yearly by folks from all four corners of the globe. Now’s your turn to discover this magical island. The best part is, you do it all on horseback! Hawaii’s most visceral sights are yours to discover on this three-hour adventure! There’s a picnic, a waterfall swim and even a trip through the famous volcanic depression of Mount Makaleha. All the while, you’ll be bonding with a beautiful horse and capturing the most colorful photos imaginable! 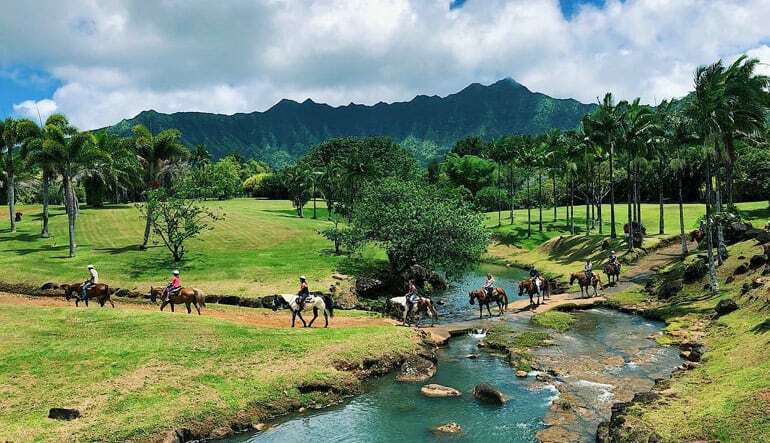 Take a 3-hour Kauai horseback ride! Begin by meeting your gentle horse for the day and learning the riding essentials from a pro. Explore a 300-acre private ranch! Follow the winding trails to a hidden waterfall and mountain pool. Here, you’ll dismount, splash around, capture photos and dig into a tropical picnic lunch! Next, continue through a lush garden with fresh fruit you can pick from the trees and bushes. 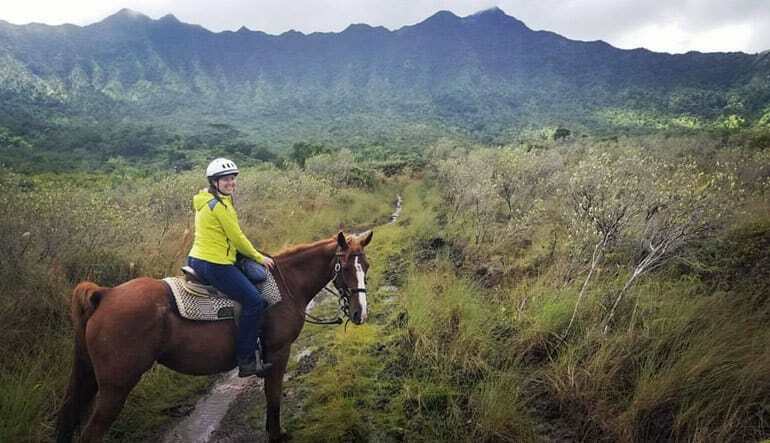 Trot deeper into Kauai’s interior until arriving at the base of Mount Makaleha! 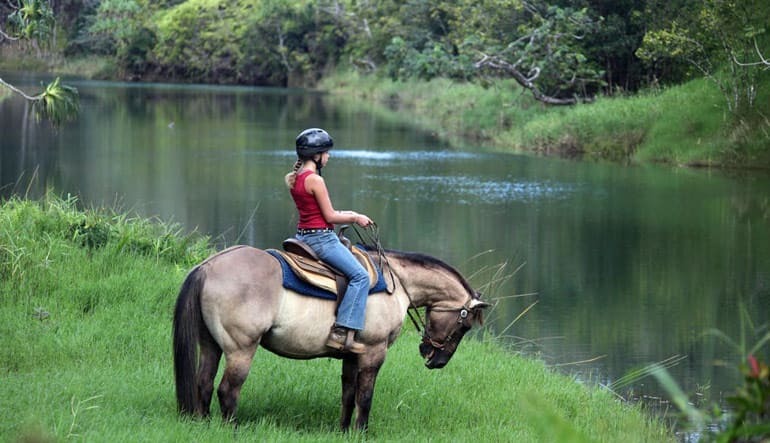 Explore the volcanic caldera on both horseback and by foot. Marvel at the exotic natural growth (stunning wild orchids everywhere)! Enjoy even more awe-inspiring sights on your ride back to home base. The roads less traveled often lead to the biggest surprises. 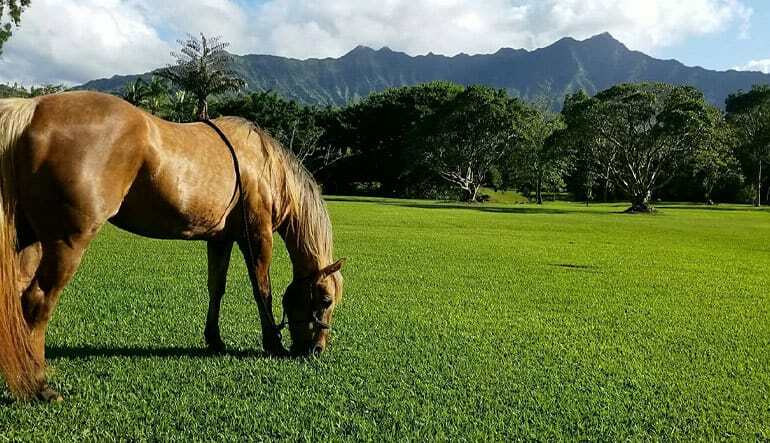 See what’s in store and book this Hawaiian horseback ride today! This was a great experience, the ranch staff anticipated needs and managed them seamlessly. They are professional, knowledgable and responsive. The scenery is to die for, the horses surefooted and well trained. Highly recommend this adventure.